We love this time of year, as the weather cools and we can find another great excuse to curl up with a book and a cup of coffee, a real book mind you, with pages. 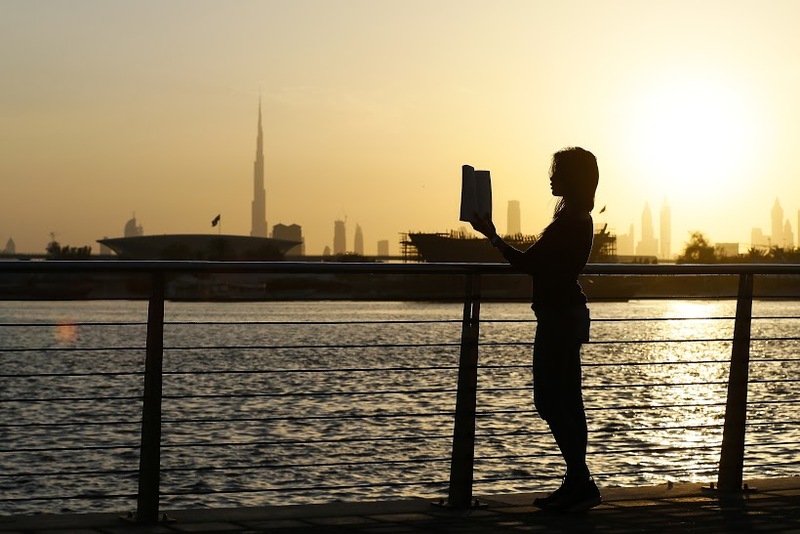 Emirates Airline Festival of literature will be taking place between 1-12th March at the Dubai International Writers’ Centre and the InterContinental Hotel, Dubai Festival and tickets will go on sale next week, January 14th. The festival is now in its eighth year and is the longest literary festival in the Middle East with more than 150 authors confirmed for this year. So who can we expect? Astronaut Chris Hadfield, stage and screen actor Meera Syal and IPAF-winners Saud AlSanousi and Shukri Al Mabkhout amongst many more. The complete program will be announced shortly. This year which sees the festival run for a longer period of time due to the success of the previous seven editions will include screenings of Shakespeare plays and adaptions, an exclusive section dedicated to the Emirati literary scene ‘Spotlight on Emirates’ and a whole host of children’s sessions with the authors and illustrators themselves, designed to get your little ones to discover the joy of reading. A handful of international and local talents have also been added to this year’s stellar line-up. Festival favourite, food and television presenter Suzanne Husseini, UAE Mars Mission member Sarah Amiri, scientific researcher Saeed Al Gergawi, poets Hind Shoufani and Zeina Hashem Beck and renowned British television and theatre personality Robert Lindsay, famous for his role as the bumbling father in British sitcom My Family, will join literary stars Lauren Child, Maha Gargash, Victoria Hislop, Anthony Horowitz, Helen Macdonald and Ian Rankin. Ticket prices start at AED 50 with several children’s events and activities available free of charge. Tickets will be available on the Festival website http://www.emirateslitfest.com from January 14th and at select WHSmith stores in the UAE.